Discover our latest collection of iconic leather jackets for women. 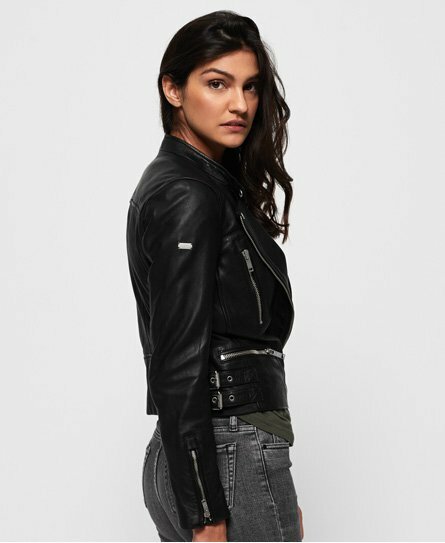 At the heart of the Superdry brand, our womens leather jackets come in various styles, shapes and are of premium quality. 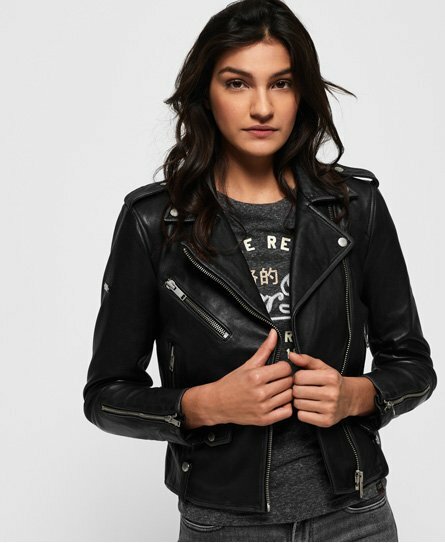 Whether you're after a classic womens biker jacket, an on-trend bomber leather jacket or an iconic leather racer jacket, pick your favourite here. Choose from cropped and classic lengths and materials such as soft nubuck or suede leather and premium lamb's leather.